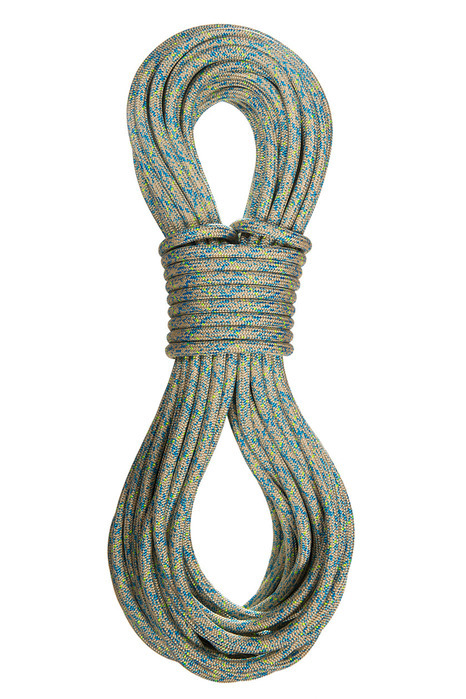 Sterling ropes newest and best canyoneering rope. Weighs only 2.77 lbs per 100′. 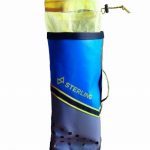 Sterling ropes newest and best canyoneering rope. Weighs only 2.77 lbs per 100′. Order now for January shipment. Made from four distinct fiber types, and coming in at a light and compact 8 mm diameter, the CanyonLux is engineered and built to meet the needs of advanced canyoneering. A blended Technora®/polyester sheath provides a perfect balance of water and abrasion resistance and features a unique and highly visible color pattern. A revolutionary dual core is made from light and flexible polypropylene surrounded by a layer of massively strong, braided Spectra® material. 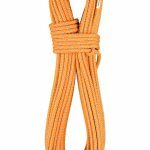 This design keeps the rope small and light, reduces sheath slippage to a bare minimum and provides maximum strength. All of this makes the new CanyonLux the best handling and most packable canyon rope currently available.